Saturday's US-led coalition strike against Syrian government forces near Deir ez-Zor is not surprising given the United States is not serious about fighting terrorism in Syria, Mais Krydee, the official representative of Syria's Hmeimim opposition group, told Sputnik on Saturday. MOSCOW (Sputnik) — The attacks by the coalition planes near the Deir ez-Zor airport were first reported by the Syrian army earlier on Saturday. The Russian Defense Ministry confirmed the attacks saying they killed 62 servicemen and injured 100 more. The attack was later confirmed by the US Central Command, which said that Syrian troops were mistaken for Daesh (the Islamic State/IS) terrorist group. "We, as an opposition inside Syria, never trust the United States, from nowadays, but also before. How can I trust that the United States wants to stop terrorism when they supported many of those [radical] forces, like Ahrar al-Sham and others, and even refused to put them in the terrorist list. So, the United States is not serious in this war to stop terrorism, so these strikes were expectable," Krydee said. Syria has been mired in civil war since 2011, with government forces fighting numerous opposition factions and extremist groups, including Daesh, which is outlawed in many countries, including Russia. 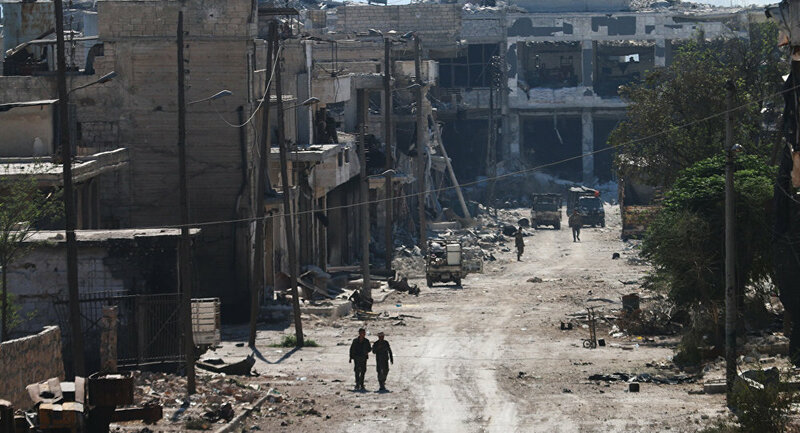 The government-held city of Deir Ez-Zor has been under siege from IS since July 2014.